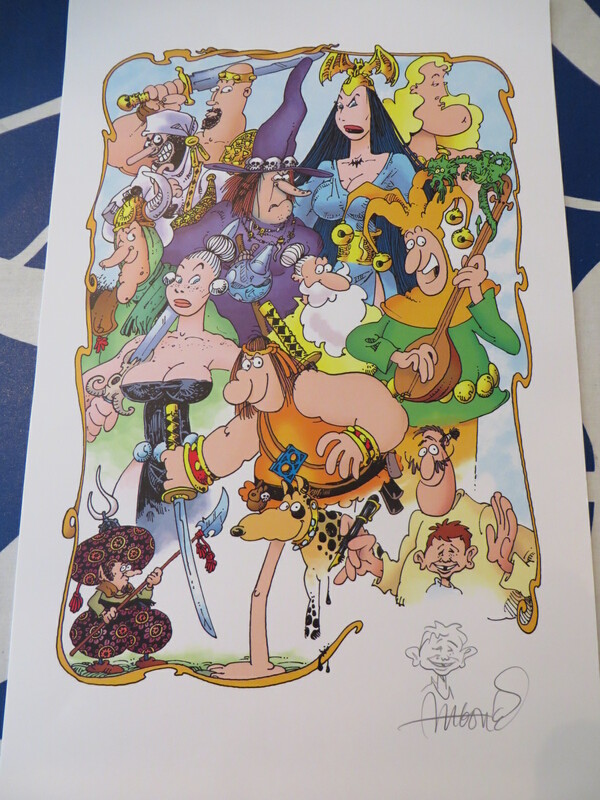 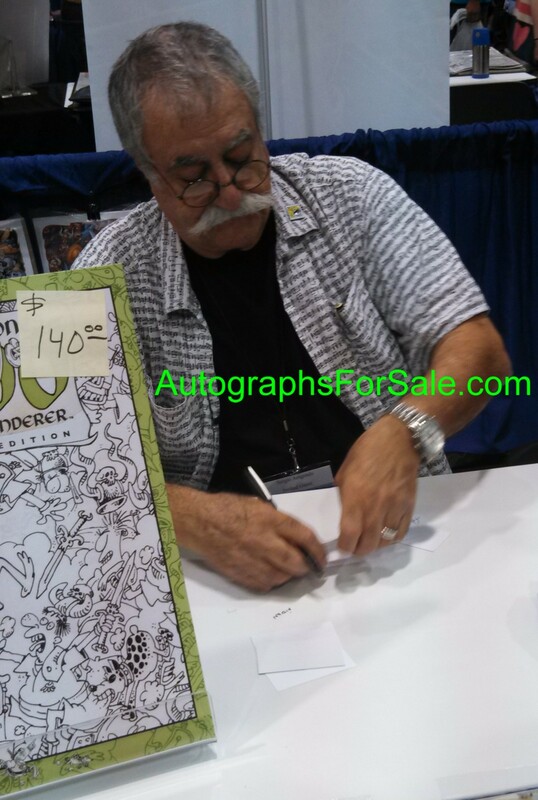 11x17 inch heavy paper lithograph of Groo and the main characters from the comic book, autographed in pencil by artist and creator Sergio Aragones and he added a sketch of Alfred E. Neuman. Obtained in person at a convention, with signing photo and certificate of authenticity from AutographsForSale.com. ONLY ONE LEFT.